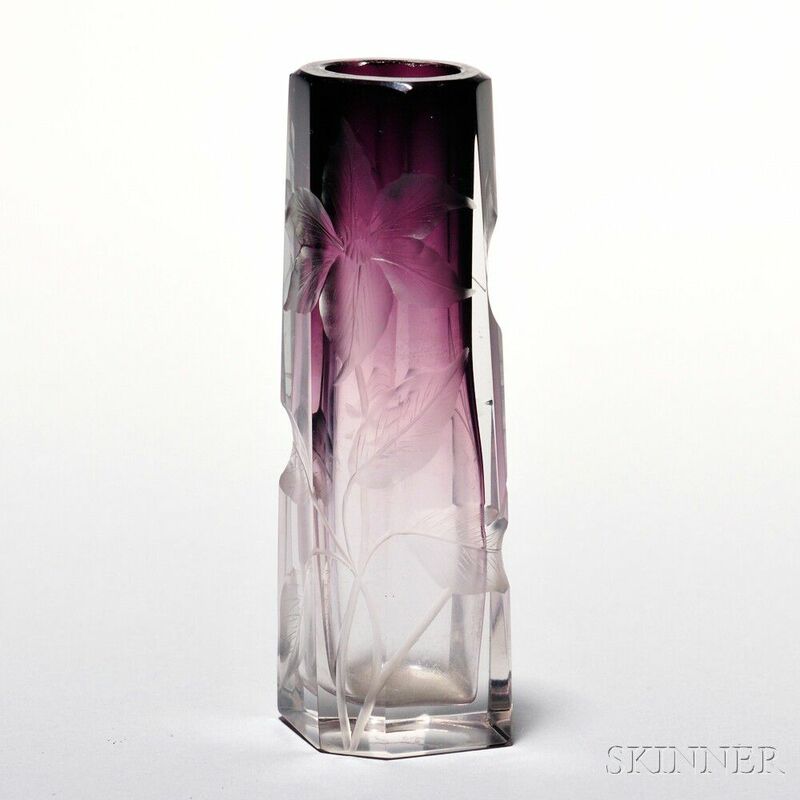 Moser Art Glass Vase, Karlovy Vary, Czech Republic, late 19th/early 20th century, the faceted bud vase shaded deep purple to clear, cut decoration of flowers and buds, incised Moser Karlsbad, ht. 4 in. There actually is a very small hip along one of the edges that is not seen in the photograph. There are also some inclusions in the glass.